Gorilla trekking in Rwanda is an amazing activity for tourists visiting Rwanda – One of Africa’s re-known tourist destinations. At the Volcanoes national park, Gorillas are the most celebrated residents, different from the other gorilla species. Over 300 mountain gorillas live within this park and the tracking experience makes it one of the best travel highlights for anyone visiting Rwanda. Such an inexplicable moment when you set your eyes on the wild mountain gorilla. Planning to stay in Rwanda for a while during your holiday or having a short stay? It shouldn’t be tiresome to acquire a gorilla trekking permit since they are always limited to a certain number per day. 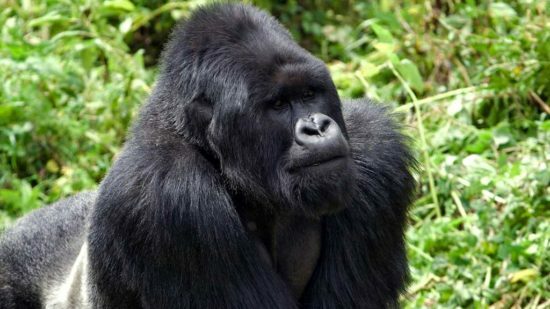 The Rwanda gorilla permit can be booked for Online through a ground tour operator who has access and a license to operate within Rwanda’s tourism destinations. Alternatively you can visit the Rwanda Development Board office (RDB) in Kigali to obtain one or visit their Official website. Availability of the gorilla trekking permits depends on the Seasons i.e. during peak seasons, they are on high demand so it’s advisable to book weeks before your gorilla safari. Peak seasons in Rwanda are in the months of June to September, December and January to February. In 2019, the Rwanda gorilla permit costs US $ 1500 for foreigners, this is a different price from the previous years (2017 and before). The change in price came in 2018 when Rwanda saw a big opportunity to boost their tourism and improve their environment. Rwanda also has been involved in big marketing strategies with some of Europe’s biggest football clubs – Arsenal as a sleeve sponsor ‘Visit Rwanda’.